GSAT-31 would be placed at Geosynchronous Transfer Orbit. GSAT-31 will augment the Ku-band transponder capacity in Geostationary Orbit. GSAT-31 derives its heritage from ISRO’s earlier INSAT/GSAT satellite series and will provide continuity to operational services on some of the in-orbit satellites. GSAT-31 will also be used for bulk data transfer for a host of emerging telecommunication applications. GSAT-31 was launched from the launch vehicle Ariane 5 VA-247 from French Guinea. It is a nuclear capable long range ballistic missile. The strategic surface-to-surface missile has a strike range of 4,000 km. The indigenously developed Agni IV is a two-stage missile and is 20 meters long with a weight of 17 tonnes. GSAT-7A is a high-tech communication satellite having new technologies including a Gregorian Antenna. It is the 39th communication satellite of ISRO and will mainly be used for military applications. Indian Air Force’s existing communication capabilities of satellites will be augmented with GSAT-7A. GSAT-7A will offer services to the users in Ku-band over the Indian region. Launched by GSLV from Sriharikota, Andhra Pradesh. 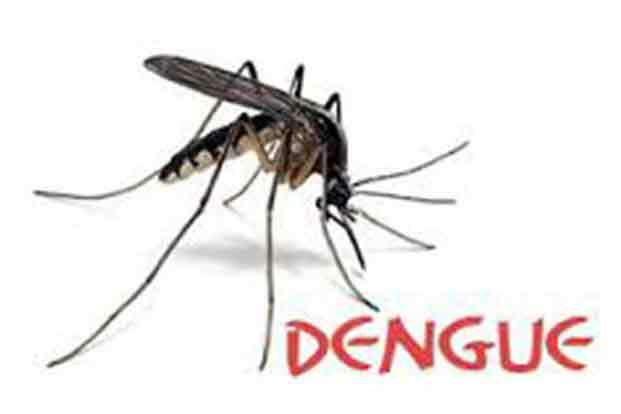 Dengue is a vector-borne disease transmitted by the bite of an infected female Aedes Aegypti mosquito. The mosquito becomes infected when it feeds on the blood of a person infected with the virus. After about one week, the mosquito can then transmit the virus while biting a healthy person. There are 4 serotypes of the virus that causes dengue. These are known as DEN-1, DEN-2, DEN-3, DEN-4. Infection with one strain will provide life-time protection only against that particular strain. However, it is still possible to become infected by other strains and develop into severe dengue. Dengue cannot be spread directly from person to person. However, a person infected and suffering from dengue fever can infect other mosquitoes. Dengue causes flu-like symptoms and lasts for 2-7 days. Dengue fever usually occurs after an incubation period of 4-10 days after the bite of the infected mosquito. High Fever (40°C/ 104°F) is usually accompanied by at least two of the following symptoms: headaches, pain behind eyes, nausea, vomiting, swollen glands, joint, bone or muscle pains and rash. There is no vaccine or specific medication for dengue fever. Patients should seek medical advice, rest and drink plenty of fluids. As a precautionary approach, patients can adopt measures to reduce transmission by sleeping under a treated net especially during the period of illness with fever. Aedes aegypti is a daytime feeder. The peak biting periods are early in the morning and in the evening before dusk. Neutrinos are electrically neutral, elementary weakly interacting subatomic particles with half-integer spin. They belong to the lepton family. Neutrinos were first proposed by Swiss scientist Wolfgang Pauli, are the second most widely occurring particle in the universe, only second to photons, the particle which makes up light. Neutrinos are similar to the more familiar electron, with one crucial difference: neutrinos do not carry electric charge. Because neutrinos are electrically neutral, they are not affected by the electromagnetic forces which act on electrons. They are light. They have little mass or are nearly massless. They are no-charge particles that only interact with weak nuclear force. In 2015, the Nobel prize in physics was awarded to Takaaki Kajita and Arthur B. Mcdonald for discovering neutrino oscillations demonstrating that neutrinos have mass. Neutrinos are the least harmful of all elementary particles, as they almost never react with solid bodies. The mass of a neutron is 1.67×10-27 kg while the mass of a neutrino is of the order of 1×10-37kg. 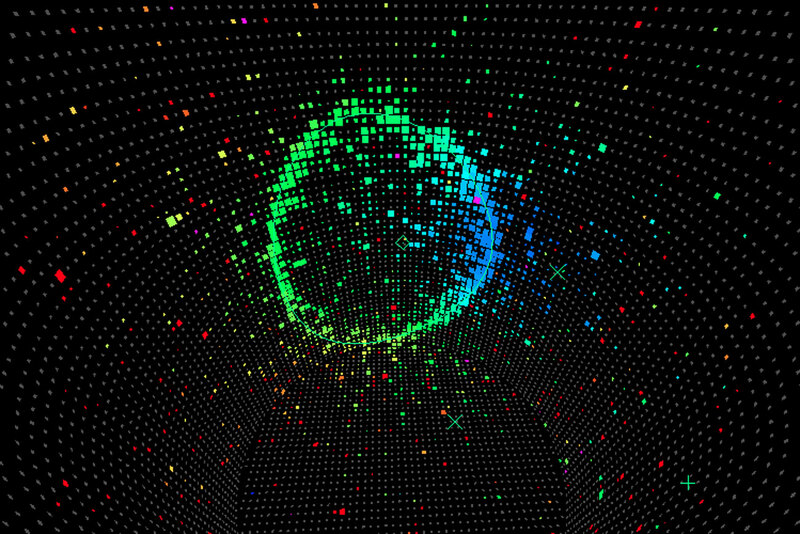 Hence, a neutrino is about 17 billion times lighter than a neutron. The two are incomparable. 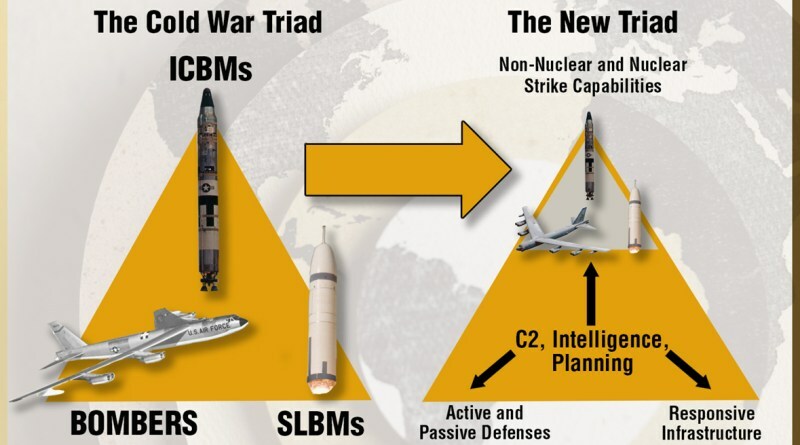 India is sixth Nation in the world (after US, Russia, France, China and UK) to possess Nuclear Triad. It means that India is capable of delivering nuclear weapons by aircraft, land based ballistic missiles and submarine launched missiles. India Army has strong arsenal of land based ICBM (intercontinental ballistic missile). It includes Agni series, Prithvi series, Prahar Missile, Shaurya Missile, supersonic Brahmos and subsonic Nirbhay missiles. Indian Airforce (IAF) operates Jaguars aircrafts which are designed for deep penetration strike and can carry nuclear bomb. Besides, IAF also has SU 30 MKI and Rafale aircrafts which can also be used to deliver nuclear weapons. Indian Navy now has its own nuclear powered ballistic missile submarine INS Arihant capable of delivering nuclear weapons. It is India’s first indigenous microprocessor. 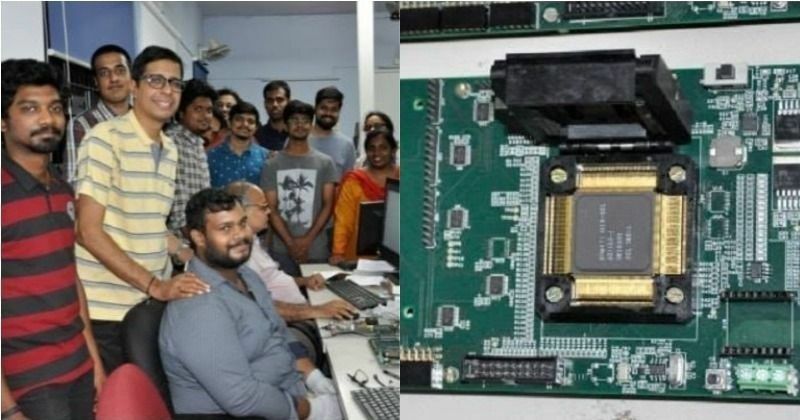 It has been developed under project partly funded by Ministry of Electronics and Information Technology (MeitY), as part of two-decade-old efforts to develop indigenous microprocessors. It will reduce dependency on imported microchips especially in communication and defence sectors and thus eliminate risk of cyber-attacks. It can be used in mobile computing, wireless and networking systems. It may also provide power to mobile phones, smart meters and surveillance cameras. Microprocessors are brain of all computing and electronic devices and are used to operate larger high-speed systems and supercomputers. 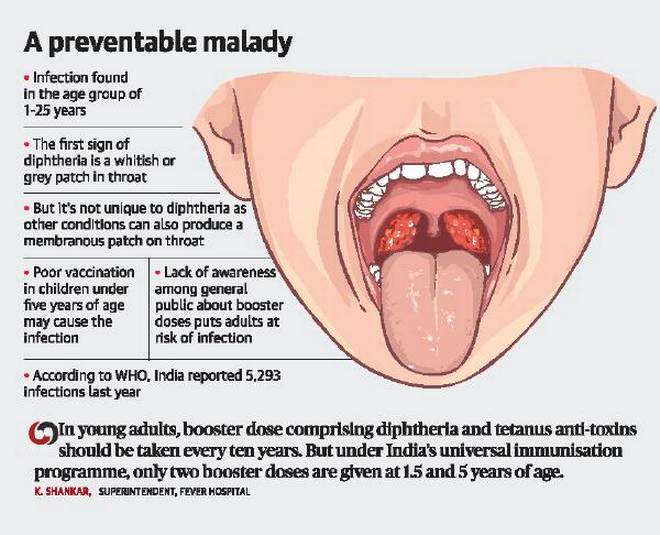 Diphtheria is a severe communicable and bacterial infectious disease that causes inflammation of the mucous membranes by forming a false membrane in the throat which creates a problem while swallowing food and during breathing. It can also damage nerves by a bacterial toxin present in the blood. Currently, this syndrome is rare in developed countries. This disease spreads easily from one person to another but can be prevented by the use of vaccines. The signs of diphtheria appear in a short period of time within three to five days after the infection has occurred. Some people do not feel any symptoms, while others do feel slight symptoms of a common cold. The most common and visible symptom of diphtheria is gray, thick covering on the tonsils and throat. The first step in treating diphtheria is an antitoxin injection. This is used to minimize the effect of toxin produced by the bacteria. The doctors also prescribe antibiotics, such as erythromycin and penicillin to clear the infection. During the treatment, patients are instructed to stay in the hospital in order to avoid the spread of infection to others. Bio-gas is produced naturally through process of anaerobic decomposition from waste and bio-mass sources like agriculture residue, cattle dung, municipal solid waste, sugarcane press mud, sewage treatment plant (STP) waste, etc. It is called CBG after biogas is purified and compressed, which has pure methane content of over 95%. CBG is exactly similar to commercially available natural gas in its composition and energy potential. It has calorific value (~52,000 KJ/kg) and other properties are similar to CNG. CBG can be used as alternative, renewable automotive fuel. 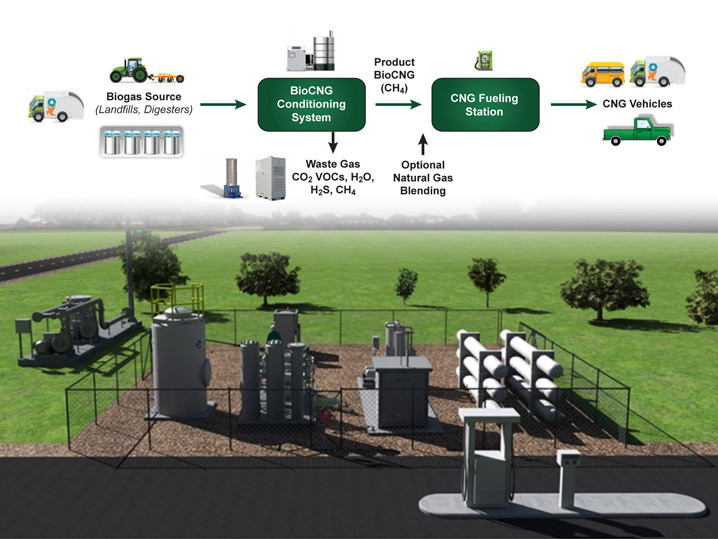 It has potential to replace CNG in automotive, industrial and commercial uses in the coming years, given the abundance of biomass in the country. It results in responsible waste management, reduction in carbon emissions and pollution. It generates additional revenue source for farmers. It boosts entrepreneurship, rural economy and employment. It also helps in reduction in import of natural gas and crude oil. It also serves as buffer against crude oil and gas price fluctuations. Hepatitis E is a liver disease caused by infection with a virus known as hepatitis E virus (HEV). Every year, there are an estimated 20 million HEV infections worldwide, leading to an estimated 3.3 million symptomatic cases of hepatitis E.
WHO estimates that hepatitis E caused approximately 44 000 deaths in 2015 (accounting for 3.3% of the mortality due to viral hepatitis). The virus is transmitted via the faecal-oral route, principally via contaminated water. Hepatitis E is found worldwide, but the prevalence is highest in East and South Asia. Two different patterns are observed, where hepatitis E is found in: resource-poor areas with frequent water contamination; and areas with safe drinking water supplies. A vaccine to prevent hepatitis E virus infection has been developed and is licensed in China, but is not yet available elsewhere. adhering to WHO safe food practices.